After graduating in Fine and Applied Art and Ceramics in 1976 Chris Weaver set up a studio on the West Coast of the South Island of New Zealand. He regularly exhibits internationally and throughout New Zealand and has been selected for international award exhibitions in Australia and Japan. He has won several major awards and study and creative development grants and is a member of the International Academy of Ceramics. His teapots are in many public and private collections and have been featured in several publications. I have been making teapots for many years and have recently been interested in the addition of found objects as handles. 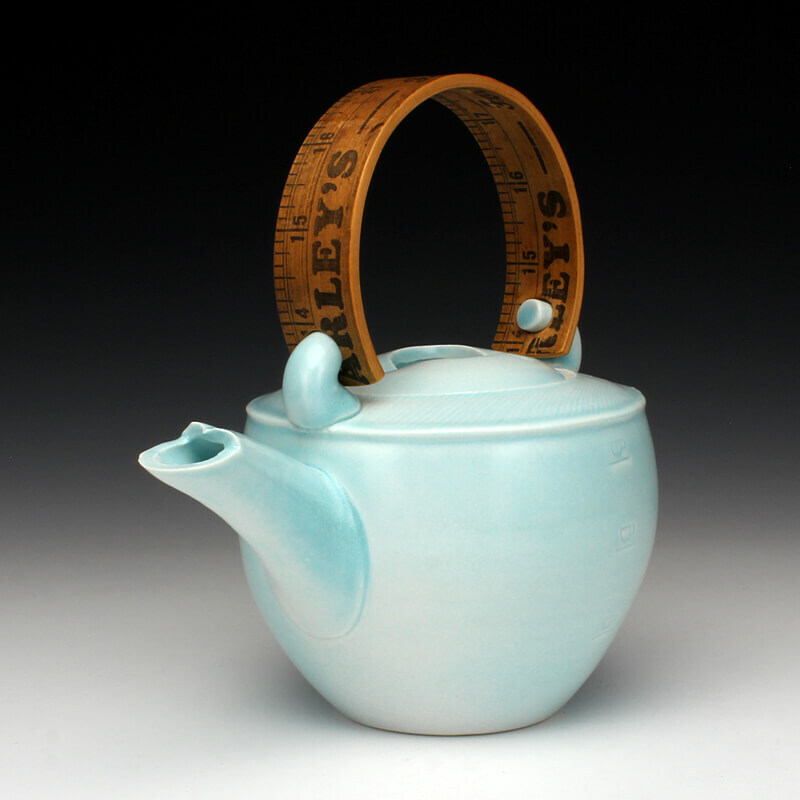 These teapots are my latest in a series relating to measurement. ‘Made to Measure’ comes from the rulers used as handles and also how the pieces have been resolved to fit the found material. These teapots are altered by their attachments both physically and conceptually.